Chicago Controlled Substances Possession Attorney | Cook County Cannabis Possession Lawyer - The Davis Law Group, P.C. Contact Cook County, Illinois Controlled Substance Possession Attorney The Davis Law Group, P.C. The Davis Law Group, P.C. provides aggressive representation for clients charged with Possession of Controlled Substances or Cannabis throughout the Chicagoland area including Cook, Lake and DuPage counties. 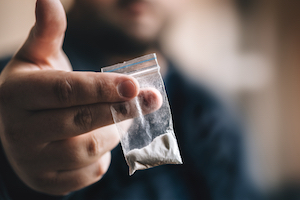 At The Davis Law Group, P.C., our drug possession defense attorneys have the experience and knowledge to handle any allegation involving the possession and/or sale of the various controlled substances listed in the Illinois Criminal Code. Possession of any amount of the various controlled substances in Illinois (i.e. cocaine, heroin, ecstasy, methamphetamines, or prescription medication where there is no valid prescription) is always a felony offense irrespective of the amount of the substance recovered by the police. Many charges for possession may be probation-eligible, but some charges that include a larger amounts of drugs, delivery of drugs, or allegations of drug sale(s) near a church or school may be a non-probationable offenses, which means that prison time in an Illinois State Penitentiary is the only permissible sentence. The larger the amount of the substance possessed, the greater the class of felony charged. In certain cases, our legal team must attempt to persuade the assigned prosecutor to amend or reduce the charge to one that is probation-eligible in order to avoid a prison sentence. Our lawyers thoroughly examine the evidence that we receive from the assigned Prosecutor to determine whether or not your case should be taken to trial, or challenged at a pre-trial motion hearing. In some instances, the police may violate the Fourth Amendment rights of the accused in order to locate and seize the controlled substance. If this occurs, defense counsel can often challenge the arrest at a pre-trial motion hearing and prevent the State from being able to introduce the controlled substance into evidence at trial. Normally, if the defense attorney defeats the arrest by winning this pre-trial motion, the State is forced to dismiss the charges. In the event that the evidence is not favorable for our client, we are experienced negotiators and can often resolve cases favorably through plea negotiations. Some counties, such as Cook County, have a program known as Drug School, which is a form of deferred prosecution. Certain alleged offenders (with little or no criminal background) may be eligible to attend this program and later return to court to show proof of successful completion. As long as the defendant has not been arrested before the scheduled return date and has a certificate of completion from the Drug School, we return to court as scheduled to achieve a dismissal of the charge(s). This program is not available to all alleged offenders and is reviewed by the assigned prosecutors on a case-by-case basis. There is a special type of Probation known as 1410 Probation, also known as “first offender” probation. 1410 Probation allows expungement of the conviction upon successful completion of the sentencing terms and conditions set forth by statute. Only those offenders that lack a criminal history are given the benefit of this type of probation. This type of sentence may be achieved through negotiations with the prosecutor or can be recommended by the Court in a conference (as explained below). In cases where the prosecutor makes an offer that is either not favorable or unacceptable to our client, we may engage in a conference between the Judge, the prosecutor, and (of course) one of the members of our legal team. This is commonly referred to as a 402 conference, and we regularly participate in these conferences if plea negotiations are unsuccessful. This method allows our legal team to inform the Court about positive aspects of our client’s lives, redirects the Court’s attention from the charge itself. If the client is not satisfied with the recommendation made by the Judge after the conference, he/she is free to reject that recommendation and preserve their right to have a trial by either a judge (bench trial) or a trial by jury. The drug defense attorneys at The Davis Law Group, P.C. have decades of combined experience handling matters involving cannabis/marijuana possession or sale, and are familiar with local courthouse procedures, the various Assistant State’s Attorneys, Judges, and local Clerks of the Court. Feel free to contact us if you require aggressive legal representation for any drug-related offense or other criminal defense matter throughout Chicago and its surrounding area.